Lightning Bolt Stress Ball we will shock you with our prices. Lightning Bolt Stress Ball is made of Squeezable polyurethane foam. 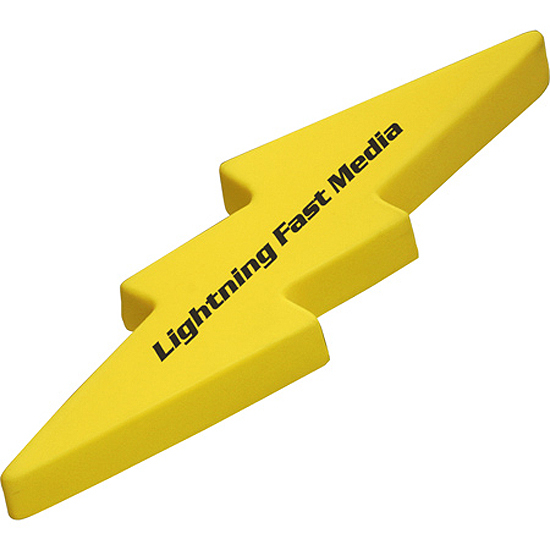 Charge up your campaign!Our lightning bolt-shaped stress reliever makes a great giveaway! They are a fun way to promote your company, organization, hospital or school, while also helping everyone who receives one squeeze away the anxiety of everyday life. Safety tested and intended for adults or for general use by consumers of all ages. Not intended for children under three years old or for pets. Bulk / 31 lbs / 600 pcs. / 22x15x14 box.